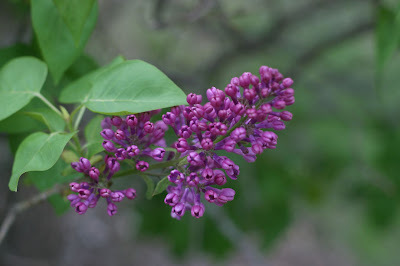 Here is a picture of one of my lilacs exactly one week ago. Promising, but not much to look at and it didn't smell at all. Now, here is the bush just earlier tonight! 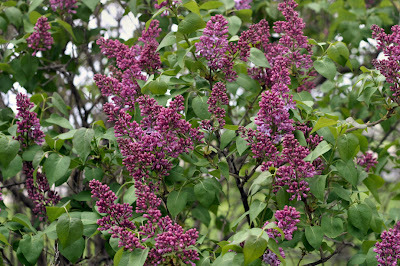 There are five large lilac bushes in our yard. There were here when we got here, so I can't take credit for them. 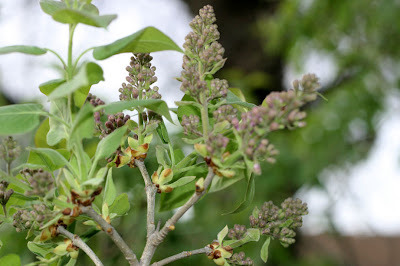 But you can smell them now, even from our back deck! hello, thanks for you comment on my blog! It looks like you have good taste! Love your stuff too!